BASKETBALL SPOTLIGHT NEWS: Skyers Ready To Soar At Future Phenom Camp! 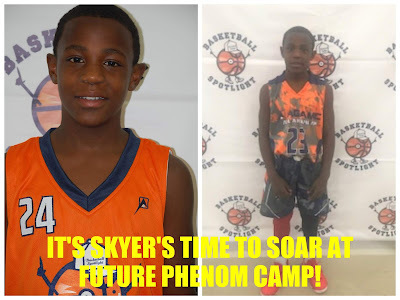 Last summer Jordan Skyers made his Spotlight debut at the Future Phenom Camp and finished ranked #10 in his class and participated in the AGame All American Game. Skyers kept this high-level play going during the Spotlight circuit with 845 Elite. He’s proven to be one of the best guards in the country and isn’t afraid to put his skills to the test on the biggest stage. Stay tuned as Basketball Spotlight brings you more of the top players in the country that will be attending the Future Phenom Camp. Don’t miss out click the link below to register.